RECOMMENDED: Combine a phrasebook with affordable lessons on italki (as low as $6 an hour). Chat directly with native speakers and wherever you are in the world. Have you ever read a phrasebook and been frustrated by the absence of up-to-date, relevant phrases or expressions? A while back, Berlitz ran a competition with the Daily Mail asking readers to offer suggestions as to what they think should be included in the next edition of their very popular phrasebooks and the result was released: the newest edition which was revamped to include reader suggestions and a slick new design making it easier than ever to find what you’re looking for. 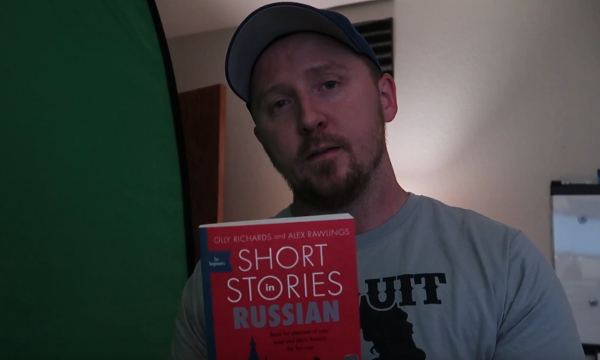 The people over at Berlitz were kind enough to send me a sample of their newest Spanish edition so I thought I’d share my impression with you. Requesting input from readers as to the kind of language content that’s been lacking in their product was a good move by Berlitz. To use technology as a prime example, it’s evolving rapidly and this is having a direct impact on the language we use (e.g. “to Google something”, “to tag a friend” or “to tweet”) so it makes sense for commercial language learning companies to start to incorporate these kinds of expressions into their content. ¿Cuál es la contraseña de Wi-Fi? I’ll put the pictures on Facebook. Subiré las fotos a Facebook. I’ll tag you in the pictures. Te etiquetaré en las fotos. This is the language of today’s youth (no matter where you are in the world really), so if you’re planning to travel it pays to know it. Even if you’re learning at home, having a handy little resource for expressions like this is very useful considering the fact that a lot of the interaction in your target language will likely be through online social networking. The price. £4.99 ($8.99) is pocket change. Well worth it for such an excellent tool. The size. Most phrasebooks are designed to fit in your pocket and this one does that without sacrificing readability and content. Color-coded sections and slick design. The new design is beautiful and the color-coded pages make it not only easy but enjoyable to use. It has a bidirectional dictionary in the back. The Essential, You May See and You May Hear sections separate core vocabulary and phrases from everything else. The simplified pronunciation helps to quickly clarify phonetic points that you’re not too sure about. It shouldn’t be relied on too much but is still a very useful feature. There are also occasional cultural notes throughout the phrasebook which I don’t find overly useful or necessary (although other people might). I do however find the few notes about when and how to use certain greetings and expressions interesting and I personally hope to see more of this in future editions. I’ve briefly talked before about my own approach to language learning which is to avoid grammar almost entirely in the early stages and focus solely on the acquisition of meaningful chunks, which is also the approach I apply to my own classroom teaching. I intend to go more into detail about why I believe it’s the most superior and natural way to learn a foreign language over time but if you’re interested in reading up on the subject then a good suggestion is to start with Michael Lewis’ Lexical Approach here. Phrasebooks like those from Berlitz are perfect chunk sources. They contain minimal focus on grammar and hundreds of highly relevant, authentic phrases which are all nicely categorized so it’s easy to find the ones you need. One of the most handy features is that for many of these phrases the structure is provided along with multiple variables that can be inserted into that structure. The chunk at the top there (“… alabilir miyim?”) can be used repeatedly in a multitude of scenarios by merely substituting a single variable. No need to overwhelm yourself with questions about grammar in the early stages as long as you have a resource like this full of meaningful bites of language (I’ll talk more about this in future posts). 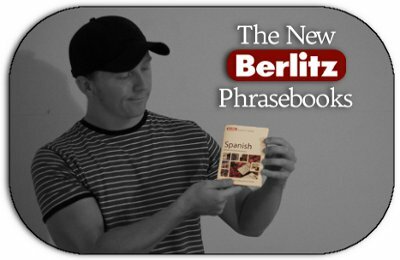 A Berlitz phrasebook for the pocket change cost of about 9 bucks is potentially a more powerful learning tool than an expensive introductory course product. Combine this with $8 an hour lessons on italki and you have everything you need to get started on a new language. I’m not learning Spanish at the moment but I’m so impressed with the sample that Berlitz sent me that I’ve ordered the French and Greek editions for myself. Italian, Spanish, French, German, Turkish, Polish, Greek, Swedish, Danish, Mandarin, Japanese, Russian and Latin American Spanish. Based on this review, I just ordered the Norwegian edition of the phrasebook (which is released in August), in the version with the CD. Thank you! I'll be interested to hear your opinion on the Norwegian edition when you get it. If you remember, drop us a comment here and share your impression of its content.